Former Medomsley Detention Centre Officers have been jailed for physically abusing inmates. 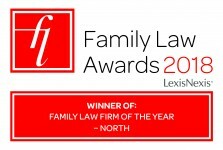 Ben Hoare Bell LLP has been named 'Family Law Firm of the Year - North' at the 2018 Family Law Awards. Ben Hoare Bell LLP has opened a new office in Middlesbrough town centre. Contact the new office on 01642 049821 or visit us on Albert Road. Ben Hoare Bell LLP has been named 'Law Firm of the Year - Medium' at the 2018 Law Society Excellence Awards. Ben Hoare Bell LLP has moved to a new, bigger and better office in Sunderland city centre. Ben Hoare Bell LLP is a highly reputable law firm with specialist Solicitors practicing in a range of legal areas. Based across the North East we can provide services to people locally, regionally and nationally. We are instructed to act for people detained at Medomsley Detention Centre in the 1970s and 1980s. If you were detained at Medomsley during this time please contact us today. At Ben Hoare Bell we specialise in the provision of high-quality legal services to individuals across this part of the United Kingdom. Whether you are facing a difficult divorce, seeking compensation for injuries sustained in an accident or you simply wish to arrange a power of attorney to ensure that your partner can manage your assets in the event you are no longer able to, we are here to help. Our team is comprised of experienced legal professionals who are among the very best solicitors in the North East and are widely acknowledged as experts in their respective fields. 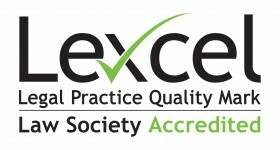 Whatever type of specialist solicitors in the North East you are seeking, please feel free to contact us. We will be delighted to review your case and provide you with all the assistance you require. Helping the community is an essential part of our role as legal experts and we are committed to providing a service to both publicly funded clients and private clients. We deal with enquiries by phone, email or face-to-face so please do not hesitate to contact us by your preferred method in the first instance. Once we have reviewed the main points of your case we will normally suggest a face-to-face meeting at one of our local offices which can be found in Newcastle, Gateshead, Sunderland and Middlesbrough. If you are physically unable to visit our offices we will try to arrange to see you in hospital or at home to discuss your case in more detail and to suggest an appropriate course of action to take. Here at Ben Hoare Bell LLP we understand that no two cases are the same, which is why we offer a wide range of services to provide the people in our community with the legal support they need. From domestic violence cases to property disputes and everything in between, you can rest assured that our team of solicitors in North East England has the specialist expertise required to support you through the legal process. We’ll work with you to ensure you fully understand your rights and responsibilities. We will do our best to help you achieve a desirable outcome. With a focus on making our legal services accessible to people from all walks of life, we offer a variety of funding options and are transparent about our costs right from the start. For more information, please do not hesitate to get in touch with us. All of the team at Ben Hoare Bell are friendly and approachable. We are happy to talk through your situation in language that you understand and at your pace. Whilst it is understandable that some legal professionals may be difficult to contact at certain times of the day, we endeavour to ensure that our clients are always able to reach someone who is familiar with their case when they call for help and advice. Our specialist solicitors based in North East England strive to provide all of our clients with easy access to expert opinions and professional assistance. Please contact us at your convenience if you would like us to review your case. I was very happy with the service on all levels. I would never hesitate to use the company again. I was looking for a solicitor who had dealt with cases similar to my own and found yourselves. I would highly recommend you to any of my family or friends in the future. I found the staff to be very knowledgeable and always helpful. I could not find any way my service could be improved. My case was handled effectively and proficiently. Received a faultless friendly service. I felt I was treated with care and respect. Everyone I spoke to always listened and assisted me well. I was very happy with the service. I don’t have any comments regarding improvements.